The relaxing services of Caring Hands Massages are just 15 minutes from Woodland Trails Bed and Breakfast, in Webster, Wisconsin. 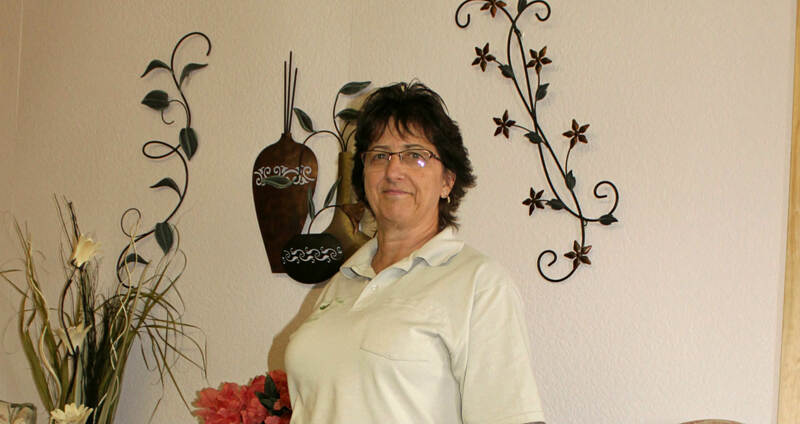 Proprietor Linda Baum has a newly remodeled salon and offers a variety of massages at affordable rates. Therapeutic massage options include Swedish Massage, Hot Stone Therapy, Aromatherapy, Foot Massage, Chair Massage, Hot Wax Therapy and Ear Candling. For more information or an appointment, email Linda@CaringHandsMassages.com or call 715-790-3499. A second choice is Grand Harmony Spa, a luxurious facility inside Grand Casino Hinckley. Besides massage, they offer body, bath, facial and nail rituals. Make an appointment by calling 320-384-4836 or 800-472-6321. A third choice is Nouveau Salon & Spa, an upscale Salon & Day Spa located in the Shops at Siren, Wisconsin, 20 minutes from Woodland Trails Bed and Breakfast. Nouveau offers full service for women and men who would like to experience rejuvenation and improve self-image in a relaxing, positive atmosphere. Among their wide selection of services are Nouveau’s Signature Massage, Dead Sea Mud Wrap, Paraffin Body Wrap, Nouveau’s Signature Spa Facial, Hair Care, Colour, Nail Treatments, Cosmetics and Waxing. Call for more information and an appointment at 715-349-8046.